No matter whether you choose the new 2WD Toyota Tacoma or the 4WD model, you’ll experience a Jupiter commute unlike others before. Learn more about the off-roading features, innovative technology, and high-end comfort features inside of the Tacoma at Treasure Coast Toyota of Stuart today when you take one out for a test drive. With a powerful 3.5L V6 direct-injection engine, the powerful, efficient drive you want can be found in the new 4WD Toyota Tacoma. 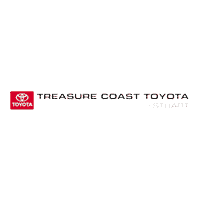 Learn more about this model’s specs and performance features at Treasure Coast Toyota of Stuart before driving yours home today. Find the bold style and fully-equipped cabin of the Toyota Tacoma for a price you can afford at Treasure Coast Toyota of Stuart and reap the benefits. Explore more of the Tacoma interior and performance features with us, compare our models, and find the Toyota Tacoma for sale that’s right for you. Drive home in your favorite today after talking with our finance department or apply online before coming in to get pre-approved. If you have questions, don’t hesitate to contact us.